Hey there! 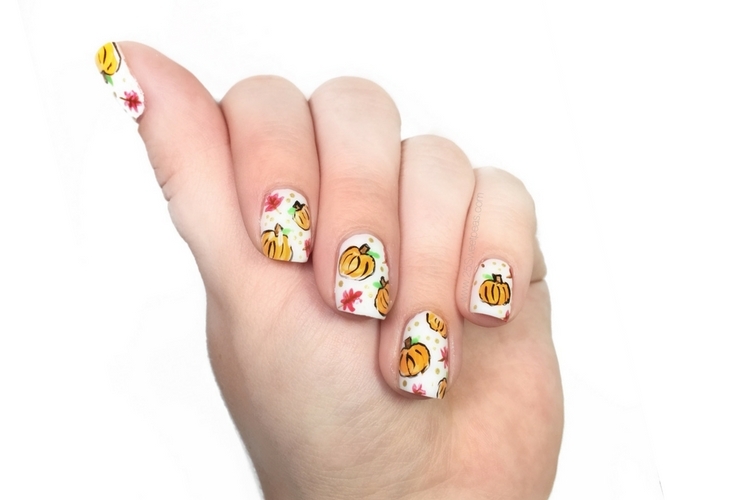 Welcome back to a fun fall themed mani! Today I have some water colored pumpkins and some cute little leaves on my nails. That being said lets check out what I have used and see this design closer up! The white polish I used as my base is new to me! Its called White Orchid and its by Julie G Polish and I am liking it. This was my first time using it and it was a tad bit thin and required 2 coats. However I think as it has contact with air it may become a one coater. So I was pretty happy with it. The art was done all with acrylic paint. There orange was watered down acrylic paints. The rest was just straight acrylic paint and it was fun to do! Simple and festive all at once! Just kind of makes you smile. The Nail Art Squad also all did fall manis for today as well which is super fun! 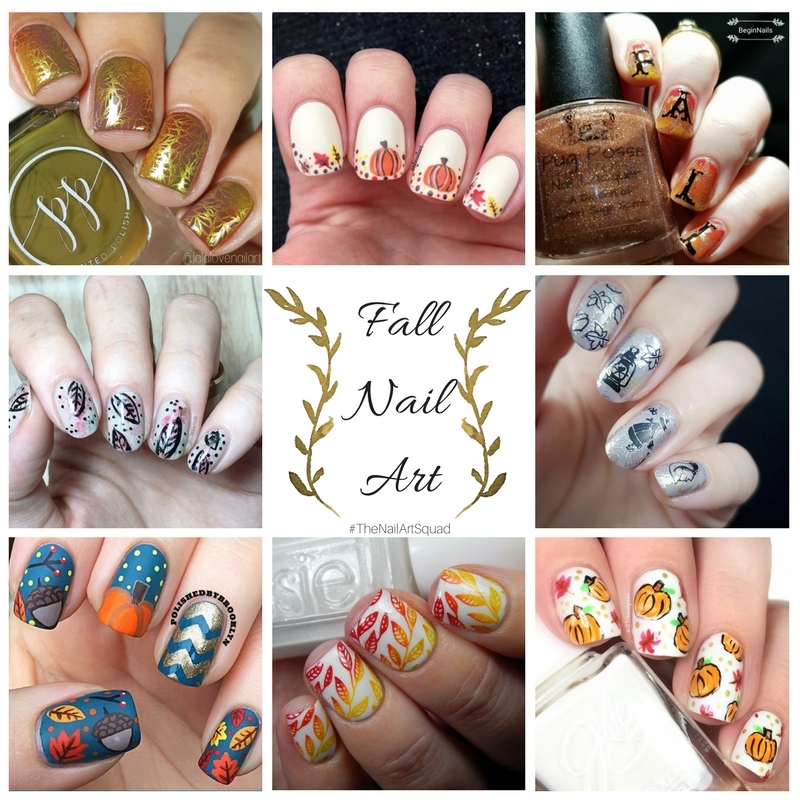 So check out all of those fun manis! These are so cute! I love all of the manis your group did for this challenge. Thanks so much! Everyones looks great! Your nail art always makes me smile! Aw, thank you! I'm so glad! Your nails look so perfect for fall. I love the design you created. It's so cute. I'm digging the colors together. Thank you so much! It was fun to makeup as I went along! I really want to try acrylic paint on nails! It looks like the best way to do really precise nail art. Its a game changer!! Plus SO great if you want to do a watercolor look! Oh my gosh those pumpkins are so sweet! Very cute mani and perfect for fall! Adorable! And I love the cutesy dots. Thank you! They really make it complete! OMG!!! These are so stinking cute!!! Love!! !